Dress up as a Battle Girl, Jogger or Fisherman – once you spend some money, that is. Niantic have been busy on the promotion front today for Pokémon GO. Firstly, a new trailer was released on the official Pokémon YouTube channel about the generation three Pokémon released (or to be released) in the game, featuring Stephen Fry as the narrator. 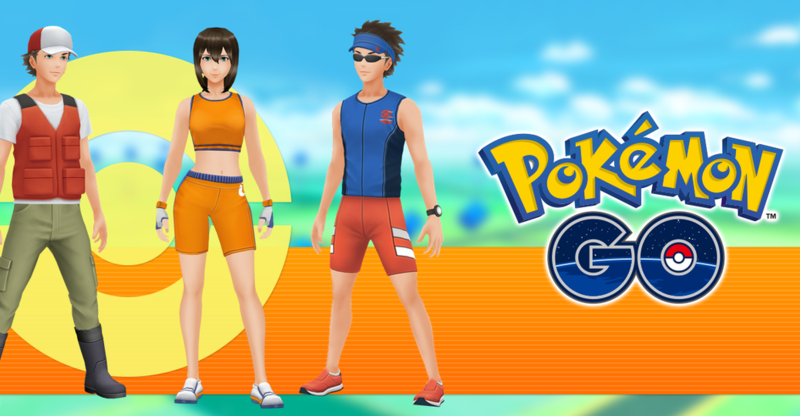 Afterwards, the Twitter account for the game announced new clothing options based on the Battle Girl, Jogger and Fisherman trainer classes from the main series games. The catch however is that you have to both unlock these outfits via progress on their in-game medals, and then pay for them. Are you planning to spend any of your in-game coins on these outfits?